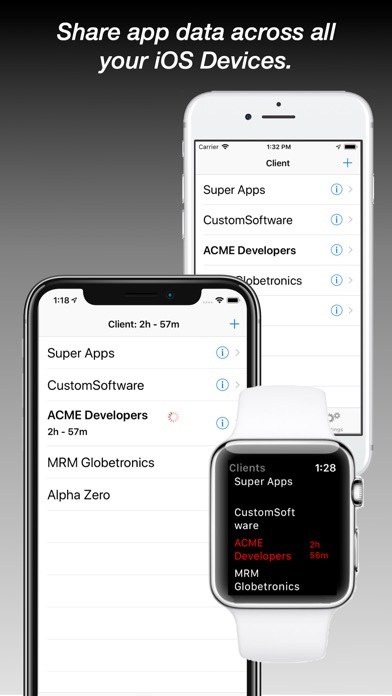 Track the time you spend on your clients from your Apple Watch. 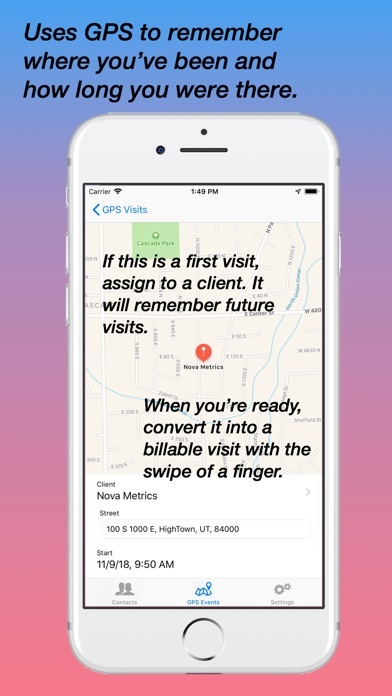 or Let your iPhone remember how long you spend at a client site using CoreLocation. 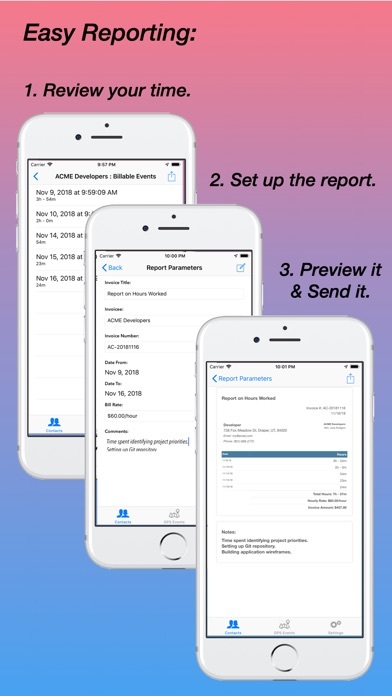 You can send a weekly invoice for your time with just a few of taps on your phone. 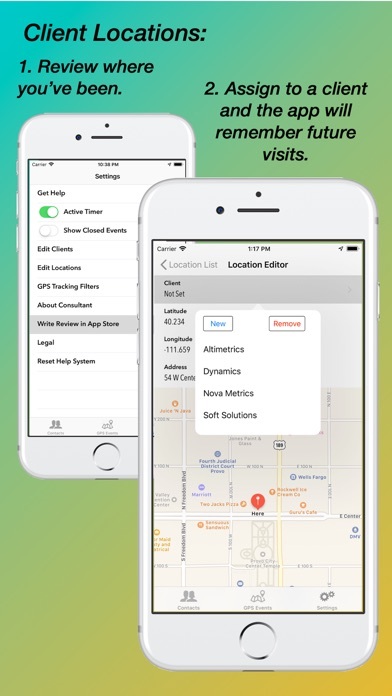 No more fussing with calendar-like trackers. No more hunting through notebooks to figure out when and how you spent your time working for your clients. No more wracking your memory trying to remember when you did something for someone. 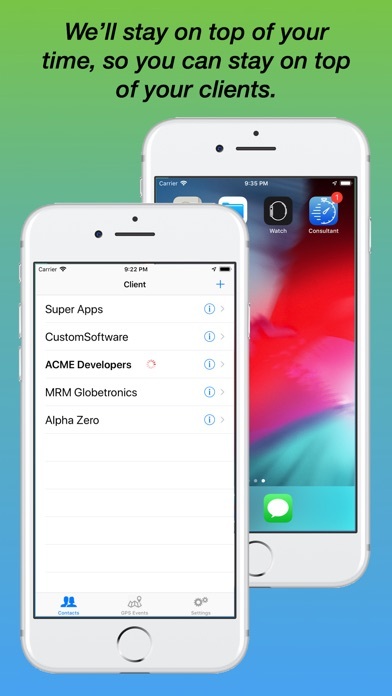 Plus All of the data is shared automatically using CloudKit between your iOS devices. One more thing... this is a lean and mean app with a lot of planned features to be added over the coming weeks and months.